So many choices are available to consumers today: what to watch, what to play, what to eat or drink. Companies need tools to help understand and influence consumer decisions. Lumi Mobile will demonstrate effective gaming techniques in social media and mobile marketing, and how to apply those techniques to gain new insight. We will share specific strategies for businesses to increase mobile and social engagement and generate immediate results. Rolfe Swinton is CEO and Co-Founder of Lumi Mobile, a market leader in real-time audience engagement and consumer insight technology. 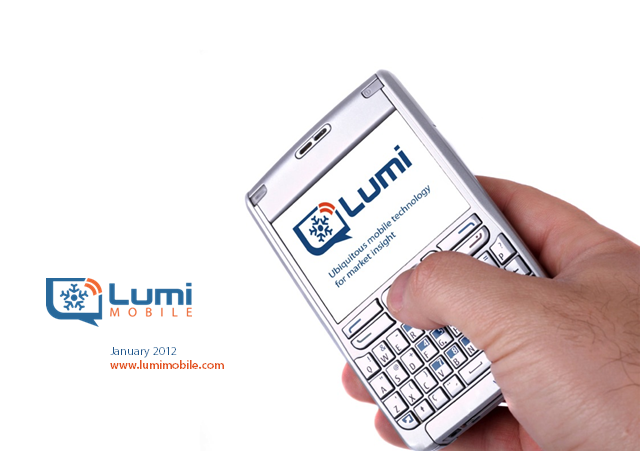 Based in London with offices in New York and Finland, Lumi Mobile enables media companies, market researchers and brands to engage consumers across all mobile device types. LumiÃ¢ÂÂs patent-pending SaaS platform links mobile users instantly with each other and with their clients, delivering games, polls, live event services, social networking and more.